What will happen if I have to cancel my tee time or reduce the number of players at a Walt Disney World golf course? If you do not cancel or reduce your number of players 24 hours before your scheduled tee time, you may be subject to a charge on the credit card that you provided when you made your reservation. 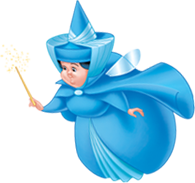 If your plans or your party size have changed, please call the Golf Master Starter at (407) WDW-GOLF or (407) 939-4653 to cancel or modify your reservation. Guests under 18 years of age must have parent or guardian permission to call. If you made your tee time reservations online, you are also able to cancel online. Why is a credit card required with my tee time reservation for a Walt Disney World golf course? What will happen if I'm late for my tee time at a Walt Disney World golf course?